Just In: More text message revelations! There seems to be no end to the surprises coming from the text messages about the email probe of Democrat candidate Hillary Clinton. In this latest batch of texts that have been studied, reference is made to the nomination of Donald Trump would cause the Clinton investigation to end. The texts seem to be beyond an expression of a personal negative opinion about Trump. They suggest a growing alarm at Trump’s primary surge. It even suggests that there are questions about what other steps need to be taken to derail him. It even hints at the outcome of the email investigation. You can read it here. One of the FBI agents who oversaw the Clinton email investigation spoke of “pressure” to wrap up the probe after it became clear that Donald Trump would win the 2016 Republican presidential primaries. And in a text exchange on July 1, 2016, FBI lawyer Lisa Page suggested to her lover, counterintelligence official Peter Strzok, that then-Attorney General Loretta Lynch had foreknowledge that the FBI planned to exonerate Clinton in the investigation over her use of a private email server. That despite then-FBI Director James Comey saying on July 5, 2016 that the Justice Department had no idea what statement he planned to make that day. The shocking texts were included in a batch of 384 pages of messages provided to the Senate Homeland Security and Governmental Affairs Committee (HSGAC) by the Justice Department on Friday. 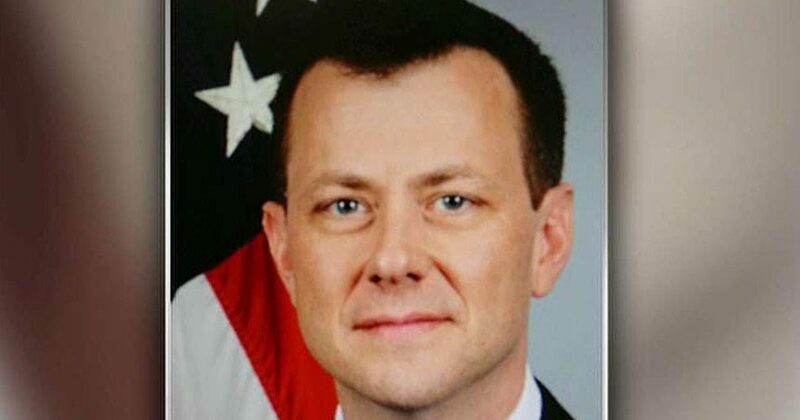 The release is in addition to a batch of Strzok-Page texts that were released by the agency last month. Those exchanges revealed that the two FBI officials, who worked on both the Clinton and Trump investigations, harbored deep anti-Trump sentiments. In one of those previously disclosed exchanges, dated Aug. 15, 2016, Strzok spoke of an “insurance policy” that the FBI needed to take out in case Trump defeated Clinton in the …..